For me, my colours are shades of grey, formed out of vibrant reds and soulful blues with swirls of yellow that weave in light. Never black and white - in fact, black never comes into the mix. Right now - there's Autumn’s tones, like the ones you find on turning leaves at the bottom of naked trees… Faded away pinks and moulted rusty greens that push away the blues. Scrub and wash quince thoroughly. Carefully peel, core and cut into quarters. Place peels, cores and water in a large pot on medium heat. Cook for 10 to 15 minutes. Drain the cooking liquid and set aside. Discard Peels and cores. Add quince quarters, sugar, cinnamon stick, lemon peel and cooking liquid, to the pot. Stir over medium heat until all the sugar has dissolved. Brush the sides of the pot with a wet brush to remove any sugar crystals. Turn heat to low and cover the pot. 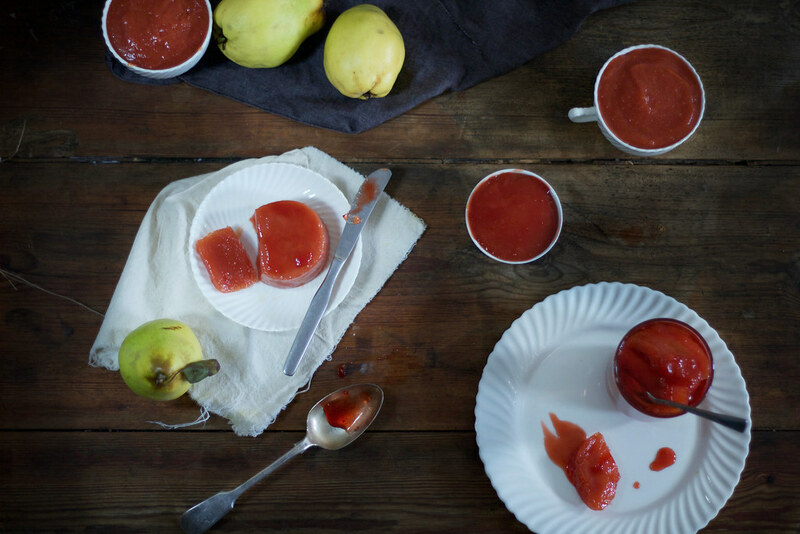 Cook quince segments in the syrup for 1 hour. 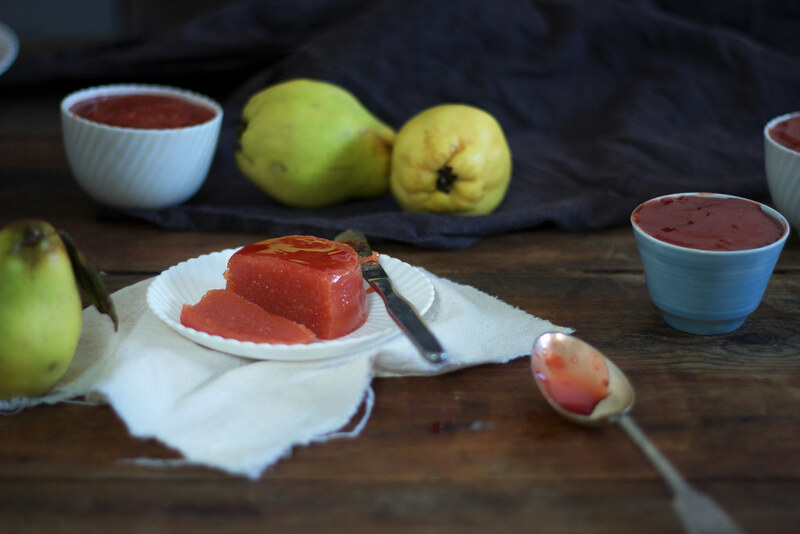 The quince and syrup will turn a deep coral colour. Remove and discard lemon peel and cinnamon stick. Beautiful post, Stella. I'm glad you found your colours.